Southern California is where the sun always seems to shine, the skies are an endless blue, and the cool breezes from the Pacific maintain never-overbearing temperatures. Whether you travel through this portion of the state for your first or fifth time, it`s a special place to visit that offers the best of all worlds for transient RVers. 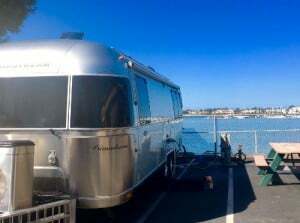 Of the many hot spots, which attracts countless of RVers that come to stay for several weeks or even several months at a time, is San Diego and Mission Bay RV Resort, which is located on the coast and nearby to several attractions the area is acclaimed for. Lety Lopez, Regional Manager of Mission Bay RV Resort, explains that the main draw to the park is the location. From the countless sand beaches to all the different sights and sounds nearby, this southern gem is a must-see for any RVer, any time of the year. 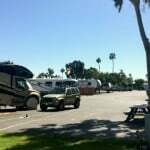 More activity at Mission Bay RV Resort. 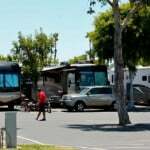 Owned by the City of San Diego, Mission Bay RV Resort prides itself on the natural, lush surroundings in the area. It’s set on 12 acres and consists of 250 spacious, paved sites, ranging from 12 to 40-plus feet (“Super Size” 80-foot sites are available). Every type of RV and RVer can be accommodated. 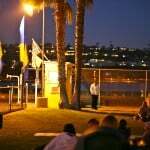 Power hookups (50-amp), sewer, water, cable TV and WiFi are a few of the given amenities at this featured-packed park. More importantly, access is undeniably easy. Interstate 5 is within earshot of the park, making it quick and simple to get in or out of to explore all local attractions. 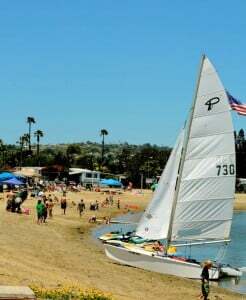 One of the highlights is Mission Bay Park (not to be confused with the actual RV park), which is considered the largest man-made aquatic park in the United States. It consists of miles upon miles of sandy beaches and pathways, providing the perfect grounds for walking, cycling, rollerblading, skateboarding, or sunbathing. No matter how active you are, the area specifically caters to those that love the outdoors. 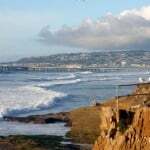 Aside from all the outdoor activity, some popular attractions include Historic Old Town San Diego—the birthplace of California where the first Europeans settled (with more than 17 historic points of interest), while Mt. Soledad Veterans Memorial, The San Diego Zoo, and Sunset Cliffs are all worth a visit. The park is set on 12 acres and consists of 250 spacious, paved sites, ranging from 12 to 40-plus feet. 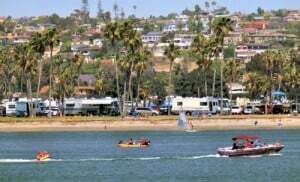 With all the hustle and bustle commonly associated with larger U.S. cities, Lopez explains Mission Bay RV Resort is relatively quiet given its location right in San Diego. Around-the-clock security and gated premises provide a great means for kids and adults to enjoy the park if they choose to stay “close to home” for the day. 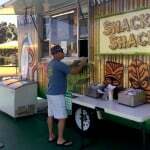 On-site pavilions are available for group family events, a popular food truck serves typical (and popular) Southern California comfort food, and planned seasonal activities and events are held throughout the year. Other amenities include spacious bathhouses, full-service laundry facilities, and more. If you don’t see it, ask any one of the friendly RV park staff and they will be happy to help meet your needs. 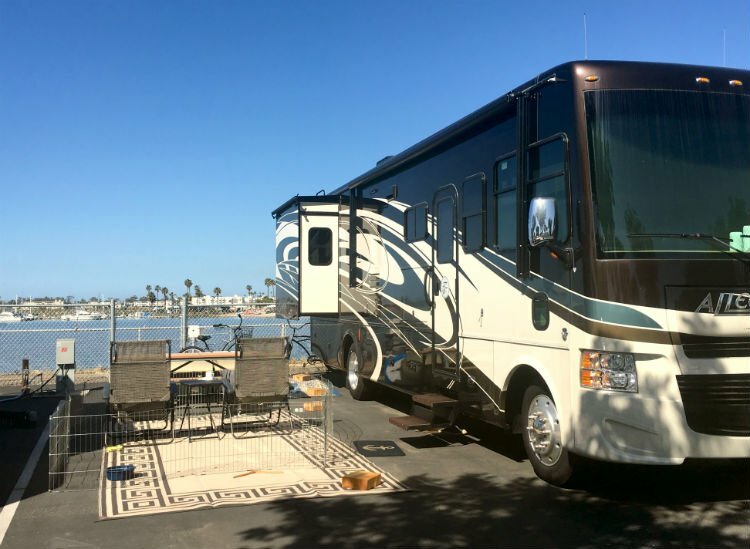 With its vast clientele, repeat customers, and ideal location, Mission Bay RV Park Resort serves its customers well, and will certainly complement a visit to San Diego that offers all types of enjoyment and excitement throughout the year. Events are held throughout the year at the park. Thanks for your interest. Mission Bay has a series of rates, depending on the time of year you visit, duration, type of site etc. Be sure to visit this link to view Mission Bay’s rates. What is the per night cost? Thanks! There are a variety of rates at Mission Bay, depending on the time of year you visit, duration, type of site etc. Visit this link to Mission Bay’s rates. Thanks for your interest. For availability, we suggest you contact Mission Bay RV Resort directly. Thanks for your interest and if you have any other questions please let us know. No thanks. I prefer not to give parks that have an age limit on rigs my money.